2/3 of Americans are overweight and nearly 1/3 of those are considered Obese. 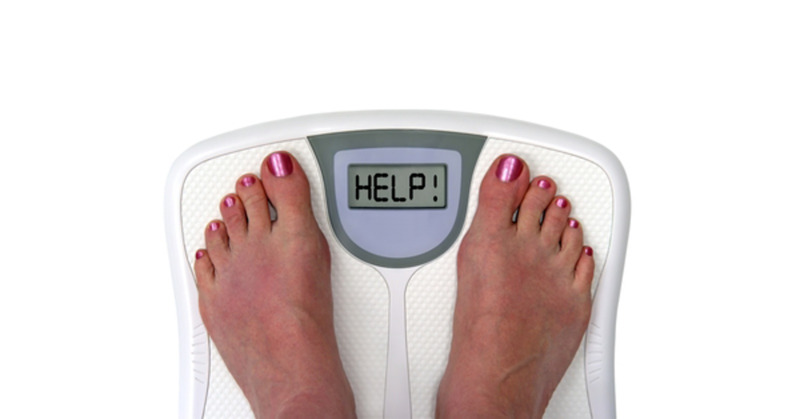 Obesity is a leading cause of many life threatening illnesses including cancer, heart disease, diabetes, and stroke. With an abundance of overly processed and minimally nutritious foods, it has become easy to fall into the traps of consuming too much sugar, refined carbohydrates and unhealthy fats. Many people find themselves addicted to these chemical laden “foods” and have a difficult time with weight loss. Many have become accustomed to believing illness and fatigue are a normal part of life – and in fact they are not. Those who eat right and move have an abundance of energy, get sick less, and enjoy an overall higher quality of life. The 101 foods, drinks, and supplements that follow are very effective at helping your body burn fat and maintain a healthy weight. The key to a healthy metabolism is to fuel your body with foods that have the nutrients your body requires to regulate its systems properly. The correct foods stabilize blood sugar, reduce blood pressure, and lower cholesterol. Many of these foods are also anti-inflammatory meaning they help prevent conditions like cancer, arthritis, and other maladies. As with anything, you need to be mindful of the calories you are consuming and learn about a true portion size. If you stick with the foods listed below and prepare them in healthy ways (don't deep fat fry your veggies) you will not only lose weight, but gain good health and energy. 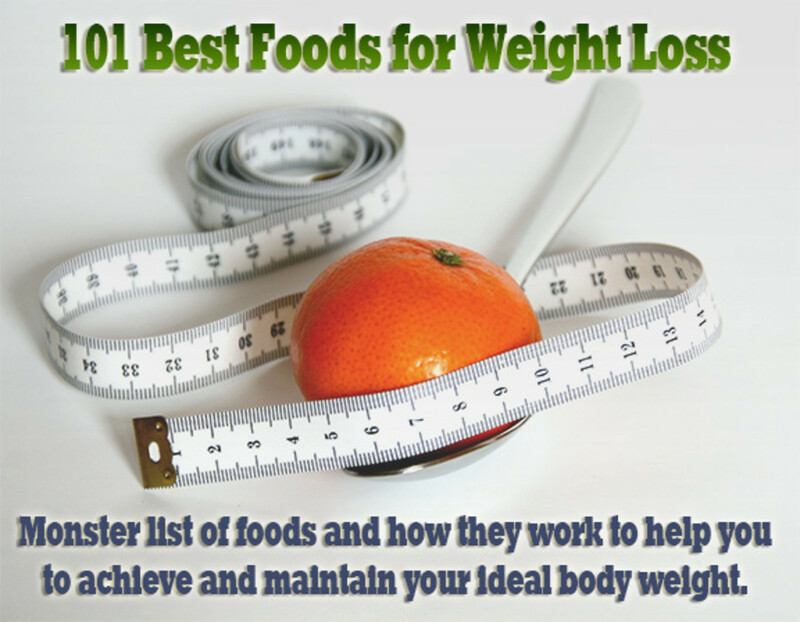 People who eat the right foods in the right portions lose weight easily. Many are able to get off of medications in time. You must learn how to count calories and measure accurate portions – there is no way around it. If you do not know how much you are consuming you are destined to gain weight. With all the variety of foods listed below there is no reason for you to get bored. Enjoy healthy eating for life and get rid of fad diets that don't work and garbage foods that are slowly killing you. 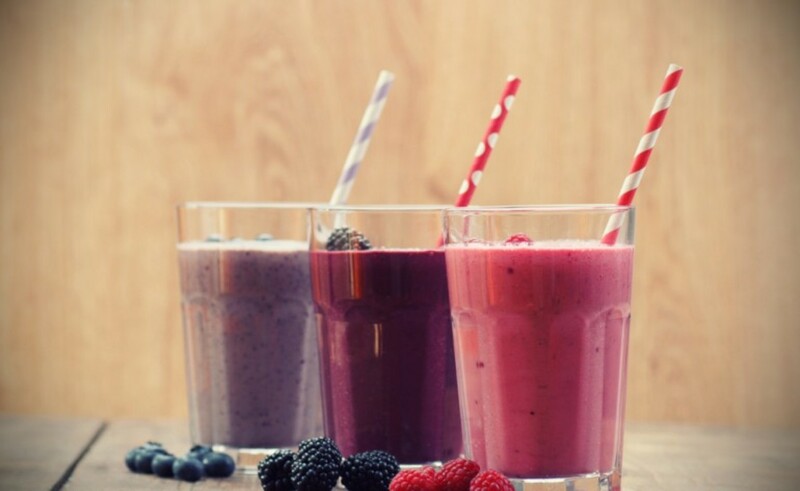 Nothing tastes as great as good health and vitality feel! Giving up junk food can be a challenge, but you'll soon find it's well worth it. Learn not only what foods you should be eating, but a bit about how they function in your body in ways that help promote fat loss and overall good health. Apples – low in calories, high in fiber, and loaded with nutrients. Apples are naturally sweet and filling. Apricots – should be eaten fresh and not dried. Loaded with nutrients and help balance the digestive system. Blueberries – loaded with antioxidants and high in fiber. Studies in rats have also shown blueberries to target belly fat. Blackberries – low calorie, very high in fiber, and rich with phytochemicals that regulate body processes. A full cup is only 70 calories. Cantaloupe – Rich in potassium to help control blood pressure. Naturally sweet and low calorie and entire 5 inch cantaloupe has less than 200 calories. Cherries – loaded with nutrients and antioxidants that help promote detoxification. Goji Berries – very low on the GI index and loaded with nutrients that aid in the conversion of food into energy rather than fat storage. Oranges – high in fiber and loaded with vitamin C. Oranges also contain herperidin a phytonutrient shown to reduce cholesterol and high blood pressure. Grapefruits – shown in studies to help aid metabolism of fat. A half a grapefruit has only 49 calories and red grapefruit has been shown to help lower triglycerides. Honeydew – no sodium or cholesterol, high in nutrients, low in calories a full cup is only 60 calories and it's the sweetest of the melons. Lemon – lemon juice acts as a liver cleanser and digestive aid. Lime – citric acid acts as a fat burner. Limes also aid digestion and help relieve constipation. Papaya – high in fiber and rich in nutrients. Papaya enzymes are excellent for cleansing the digestive system. Pear – Very high in fiber and nutrients, pears are good for fighting constipation. Pears have also been shown to reduce cholesterol levels. Pineapple – High in bromelain, an enzyme that aids in healthy digestion. Raw, fresh pineapple is also rich in Vitamin C. Avoid processed pineapple as it is much higher in sugar/calories than fresh. Plums – Protect cell membranes and are high in potassium, many vitamins, and fiber. Pomegranate – cotains high amounts of CLA which has been shown in studies to help reduce body fat. Eat the fruit and don't drink the juice which is very high in sugar. Strawberries – loaded with antioxidants, the polyphenols in strawberries have been shown to reduce and regulate blood sugar levels. Tangerines – Nobiletin, a citrus bioflavonoid found in tangerines has been shown to protect against the buildup of plaque in the arteries and to help prevent insulin resistance. Watermelon – packed with antioxidants that help reduce the inflammation associated with atherosclerosis, diabetes, and colon cancer. Asparagus – loaded with anti-inflammatory and antioxidant nutrients which reduce the risk of type 2 diabetes and heart disease. Beets – contain powerful nutrient compounds which help prevent heart disease and certain cancers. They also have anti-inflammatory properties and aid in detoxification. Bell Peppers – exceptionally high in Vitamin C and very low calorie. These peppers are great for their antioxidant and anti-inflammatory properties as well. Broccoli – High in fiber and nutrients. Broccoli is excellent for detoxification and has anti-inflammatory properties as well. Brussels Sprouts – contains compounds which activate the enzymes in our body that help prevent a wide array of cancers. They are packed with nutrients and very high in vitamins C & K.
Cabbage – very low calorie only 17 calories in 1 cup raw. Loaded with vitamins and antioxidants that are shown to reduce cholesterol. Carrots – Orange foods like carrots have been shown in studies to be highly effective in protecting the body from cardiovascular disease. They are also loaded with antioxidants and a good source of fiber. Celery – very low calorie 16 calories per one raw cup, and high in nutrients that promote good health. Chili Peppers - the capsaicin in these peppers reduces the rate of heart attack and stroke and also helps reduce inflammation, blood cholesterol, and triglycerides. Cucumber – The phytonutrients in cucumbers provide anti-inflammatory and anti-cancer benefits. Cucumbers are very low calorie with only 15 calories per one raw cup. Eggplant – great source of numerous nutrients, eggplant also improves cardiovascular health and protects against free radical damage. Garlic – garlic’s sulfur compounds provide cardiovascular support and it also has anti-inflammatory properties. Green Beans – nutrient dense, low in calories, and having anti-oxidant properties that are very high for a green veggie, green beans are good for preventing cardiovascular disease and protecting cells. Habanero Peppers – The capsaicin in this and other hot peppers increases metabolism and also help prevent heart attacks/stroke caused by blood clots. Jalapeno Peppers – anti-oxidant and cancer fighting properties have been associated with regular consumption of Jalapenos and other hot peppers. Some evidence suggests jalapenos may also help prevent prostate cancer in men. Kale – Kale is a low calorie nutritional powerhouse with only 36 calories per cup, 5 grams of fiber, 200% dv of vitamin C and tons of other vitamins and minerals. Kale is known for it's anti-cancer benefits and for promoting eye health with its high concentrations of lutein. Leeks – high in fiber and nutrients, leeks have been shown to help improve the immune system and lower bad cholesterol in a similar fashion to garlic/onion. Mushrooms – certain mushrooms have been shown to reduce the risk of breast and prostate cancer. They are rich in niacin, riboflavin, and selenium which works with vitamin E in the cells to help fight free radical damage. Onion – onion has natural antiseptic and antibacterial properties. They are rich in several nutrients and certain varieties are also a good source of iron. Pumpkin – high in vitamin A and fiber and low in calories. They help fight free radicals, heart disease, and are considered an anti-aging food because they are excellent for the skin. Radishes – a half cup is only 19 calories. Radishes are highly flavorful and a great source of vitamin C and fiber. They offer protection against free radicals. Romaine Lettuce – has very low calories and high water content. It's rich in many healthy nutrients including vitamin C, folic acid, and potassium and is also high in fiber. Spinach – wonderful raw or cooked. A full cup cooked is only 42 calories and loaded with nutrients. It has over 200% of the daily value of vitamin K essential for maintaining bone health. Zucchini – 1 cup of raw zucchini has only 18 calories. It's high in fiber and a variety of nutrients including anti-oxidants and blood sugar stabilizing nutrients. Lean Turkey Breast (free range and organic) high in protein, turkey has also been shown to help keep post-meal insulin levels in check. Lean Chicken Breast (free range and organic) high in protein. Chicken has also been shown to protect against bone loss in older people. 90/10 Lean Beef or Steak (organic is best) If you must eat red meat stick to organic, very lean cuts of beef which are a good source of protein. Avoid overly processed or fatty cuts of beef. Tofu – Studies have linked tofu (and miso) to decreased risk of stomach cancer in addition to other cancers. Tofu is high in protein, low calorie (depending on how you prepare it) and loaded with Phytonutrients. Seitan – Seitan is a wheat (gluten) based meat substitute that is very like meat. It is also high in protein and amino acids, and is only 120 calories per serving compared to 300 calories for an equal sized serving of beef. Tuna – A great source of protein, omega 3 fatty acids, selenium, magnesium, potassium, and b vitamins. Enjoying tuna twice a week is as effective at raising Omega 3 levels as taking daily fish oil supplements. Salmon - Excellent source of Omega 3 fatty acids, salmon also contains bio-active peptides that may provide support for cartilage in the joints, enhance insulin effectiveness, and control digestive tract inflammation. Tilapia – one serving has more than 50% of your daily value of protein. It is also loaded in nutrients including B vitamins, omega 3 fatty acids and selenium. Low calorie at only 140 calories per serving. Eggs / Egg Whites – Eggs are packed with protein (especially the whites) vitamin B12 which is essential for destroying fat cells. Eat whole eggs in moderation. Amaranth – provides a nearly complete source of protein and is richer in iron, magnesium, and calcium than most grains. It helps slow down the absorption of glucose and reduces hunger by reducing insulin levels. Brown Rice – high in manganese which is vital to energy production and antioxidant protection. The American Journal of Clinical Nutrition published a study that confirms women who eat whole grains weigh less. Wild Rice – high in fiber and protein and lower in calories than refined grains. Rich in vitamins and minerals including B vitamins, folic acid, and iron. Quinoa – Quinoa is an amino acid rich source of complete protein. The high levels of magnesium, folate, and phosphorus are beneficial to preventing diabetes and atherosclerosis. Popcorn (air popped) – air popped popcorn is only 20 calories per cup. It has fiber, fills you up and gives a satisfying “crunch” that is much better for you than chips etc. Black Beans – Research has shown black beans help support digestive tract health. They are also very high in fiber and help regulate blood sugar. Lentils – Reduce cholesterol are high in fiber and helpful in managing blood sugar they also are an excellent source of several nutrients including B vitamins and minerals. 230 calories for one full cup cooked – and they are very filling. Hummus (Chickpeas or Garbanzo Beans) – Help support digestive tract function are extremely high in fiber and studies have shown them to increase satiety and reduce overall caloric intake. Kidney Beans – like most beans kidney beans provide cholesterol lowering fiber. Kidney beans are a good source of protein, iron, potassium, folate, and other vital nutrients. Lima Beans – High in fiber, lima beans help lower cholesterol. They also help prevent blood sugar levels from rising too rapidly after meals and are a good choice for diabetics or those who are insulin resistant. Navy Beans – One cup provides 76% daily value of fiber. They are also high in protein and like other beans they help prevent blood sugar spikes. *all nuts and seeds have a high fat/calorie content, however they are filled with heart healthy fats that also trigger the loss of excess body fat. As such they should be consumed regularly in small amounts. - learn about portion sizes! Almonds or Almond Butter – studies have linked almonds to an increase in the hunger reducing hormone cholecystokinin. They also contain heath healthy fats. Brazil Nuts – high in monounsaturated fats and selenium which help lower LDL cholesterol (“bad” cholesterol) They are also a source of complete protein. Pecans – A 1 ounce serving has over 19 vitamins and minerals as well as fiber and heart healthy polyunsaturated and monounsaturated fats. Pine Nuts – In addition to hearty healthy fats and multiple nutrients, pine nuts also contain Pinoleic acid which has been shown to reduce appetite by triggering the release of hunger suppressing hormones. Pistachio – nutrient dense, cholesterol free, and a good source of manganese which aids in the metabolism of fat and carbohydrates. Sunflower Seeds – get the shelled variety and it takes a long time to eat your ¼ cup serving. Sunflower seeds are an excellent source of vitamin E, magnesium, and selenium. Chia Seeds – A balanced blend of protein, carbs, fiber, and health healthy fats - chia seeds support heart health, increase energy, boost metabolism, and stabilize blood sugar. They also have detoxification and anti-inflammatory properties. Pumpkin Seeds – components in these seeds help protect the prostate in men. They are also a rich source of omega 3 fatty acids, protein, zinc and several other minerals. Cinnamon – studies have shown that cinnamon has a regulatory effect on blood sugar. It is also a great source of calcium, iron, and manganese. Cloves – the primary component, Eugenol, has proven anti-inflammatory properties. It is also a nutrient dense spice containing manganese, fiber, calcium, and vitamin C.
Cumin – stimulates the secretion of pancreatic enzymes essential for digestion and assimilation of nutrients. Also a rich source of iron. Parsley – the volatile oils in parsley have been shown to have anti-cancer properties and parsley is also a rich source of anti-oxidant nutrients and several minerals. Turmeric – has anti-inflammatory properties and may aid in fat metabolism. It also supports the liver by helping in the detoxification processes caused by toxic overload. Yogurt – a good source of pro-biotics and healthy bacteria yogurt helps support digestive tract health. It is also a source of calcium, protein, and B vitamins. Low Fat Cottage Cheese – look for brands with live cultures and you'll get the same digestive benefits as yogurt. Cottage cheese is a low calorie dairy option with strong flavor. Sour Cream (low fat or fat free) – A small dollop of low fat or fat free sour cream provides flavor and texture without as many calories as heavy cream etc. It can add richness to a dish without totally overdoing the calories if used in extreme moderation. The nutrients in sour cream are minimal. Parmesan Cheese – a few sprinkles of Parmesan Cheese can add flavor and texture without all the calories of shredded cheese. Low Fat Cheeses (in moderation) can help to prevent bone loss. Cheese is also a good source of B vitamins and protein which helps to keep you satiated. Extra Virgin Olive Oil – loaded with polyphenols that have anti-inflammatory and antioxidant properties. Hemp oil – this fantastic oil contains all essential fatty acids and amino acids needed by the body. Flaxseed – Studies have shown that it helps fight diabetes, breast cancer, and heart disease. Water, filtered plain or with lemon juice – essential for good health and for flushing excess fat/toxins out of the cells. Aim for half your body weight in ounces per day. Lemon detoxifies. Green tea – the catechine polyphenols in green tea boost the metabolism, inhibit fat absorption and regulate glucose. Coffee – long term, the caffeine in coffee may lead to insulin resistance, however coffee (in moderation) does have some health benefits and does boost the metabolism. Organic Skim Milk – the calcium in milk helps boost metabolism and regulate weight. Milk also builds strong bones. Stick to organic to avoid hormones and antibiotics. Light Soy Milk – low in fat and has a lower sugar content than dairy milk. Soy has been linked to preventing breast cancer and preventing postmenopausal symptoms in women and prostate cancer in men. should only be consumed in extreme moderation. Get anything with high fructose corn syrup in it out of your body and out of your life. Stevia – plant derived making it a more natural 0 calorie sweetener. It has also been shown to lower blood pressure and blood sugar levels in some studies. Agave Nectar – a low glycemic sweetener it does not cause blood sugar spikes and crashes that lead to insulin resistance and diabetes. Raw Honey (local) – raw honey has many health benefits and it is anti-viral, anti-bacterial, and anti-fungal. Enjoyed in moderation honey(local and raw) can be a great way to fight seasonal allergies and inflammation. Whole Foods Multivitamins – These vitamins are typically easier to assimilate, have many micronutrients and include minerals too. Fish Oil – The omega 3's are good for your heart and help increase fat loss by boosting the metabolism. Alpha Lipoic Acid (ALA) – an amino acid that supports the cells and helps aid in energy production. It also helps control blood sugar levels. L-Glutamine – This amino acid helps reduce the cravings for sugar and sweets. This is not a full list of healthy foods of course, but a great start. To learn more about nutrition and the food you are putting into your body I recommend visiting websites like “The World's Healthiest Foods”, a non-profit website dedicated to educating people about healthy eating without an agenda. For weight loss check out SparkPeople or Very Well (formerly Calorie Count). Both have amazing free resources and support for those who want to begin a healthier lifestyle. Great list. Fresh food is indeed the best food! Voted up and shared! Congrats on the pregnancy and thank you for the lovely comment and for sharing! Being pregnant, I've tried to really watch what I've ate and tried to introduce high quality organic meat, dairy, and fresh fruits and vegetables to my diet while removing processed foods. I can't wait to get back to my active lifestyle, and get my body back to pre-pregnancy shape once I get my little rascal out. Voted up, interesting and useful. Also sharing great job! Thanks Peyton :) glad you enjoyed the hub! I am keeping this for reference...we should definitely beware of the foods that we introduce to our bodies! Thanks for sharing, Christin!! I have always had problems improving my diet. I am a little bit overweight, so eating more healthy food would be a great solution for me. Thank you for sharing. Thank you ktrapp :) glad you enjoyed the list. Thank you for stopping by and commenting I appreciate it. This is a nice comprehensive resource of healthy foods. I like how you defined how each of the foods is specifically good for the body. Hi rlaha - glad you enjoyed the hub thanks for voting it up :) I love fruits and vegetables also and it's definitely ok to use heart healthy oils in moderation. I agree with you on the salt, it took me awhile to lose my taste for it, but it's definitely better to eat low sodium. Hi. I enjoyed reading this hub. These are great foods! I love fruit and vegetables, so try to make healthy foods with them. I use less oil and salt in my cooking as well. Great hub! Voted up, useful and interesting! Hi Dee - Thanks for dropping by and commenting :) I'm glad you enjoyed the hub. I love Zuchinni myself and can't wait to start my garden again. There's definitely a variety on that list :) I just picked up some yellow squash today on sale at Aldi's to use for fajitas - yum. Thanks for the reference. I hope other will enjoy it as well. L-Glutamine – This amino acid helps reduce the cravings for sugar and sweets -- that's something I really need to look into then. I'd say this is my biggest problem. I'm pretty good with fruits and veggies although we eat too much white rice/flour/breads, etc. Good list. It makes me realize I really need to expand on some of my food choices. Thanks for this info! Thank you Maddie for your comment. I agree on the healthy fats and I believe many people have been misled that "low fat" or "fat free" is the answer - when that typically equates to "more sugar" which also is converted to fat in the body when consumed in excess. What a great resource for people looking to improve the quality of their diet. I love that you included sections for nuts/seeds and fats/oils, which too many people avoid when they're trying to "eat healthy."